The Cel-Fi QUATRA System is not available for sale online. Nextivity/Cel-Fi does does not allow the QUATRA system to be sold online. Please call us at 800-590-3564 or email us for more information on the QUATRA System. 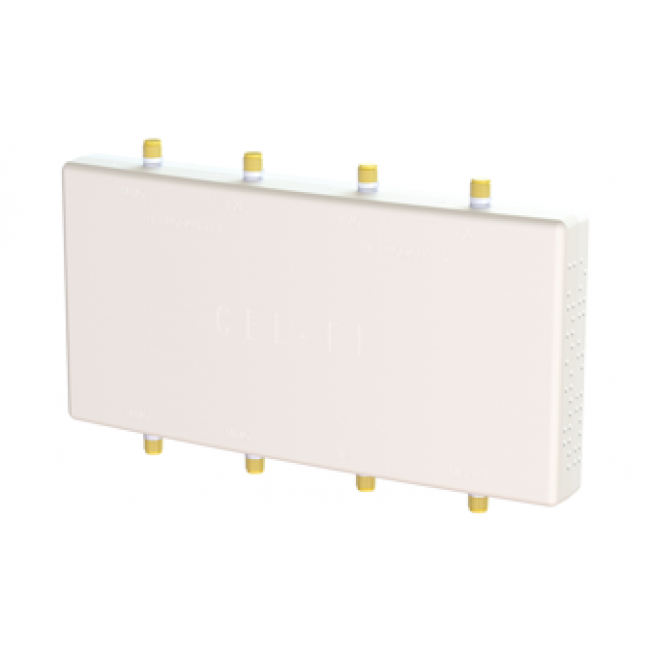 The Cel-Fi QUATRA is a hybrid Active Distributed Antenna System (DAS) that combines the power and performance of Active DAS with the lower cost and short deployment time of Passive DAS signal booster systems. There are currently two different versions of the QUATRA system; the QUATRA 1000 and the QUATRA 2000. Using these systems, we can boost a single carrier (AT&T or Verizon) or multiple carriers (AT&T & Verizon and/or Sprint & T-Mobile). 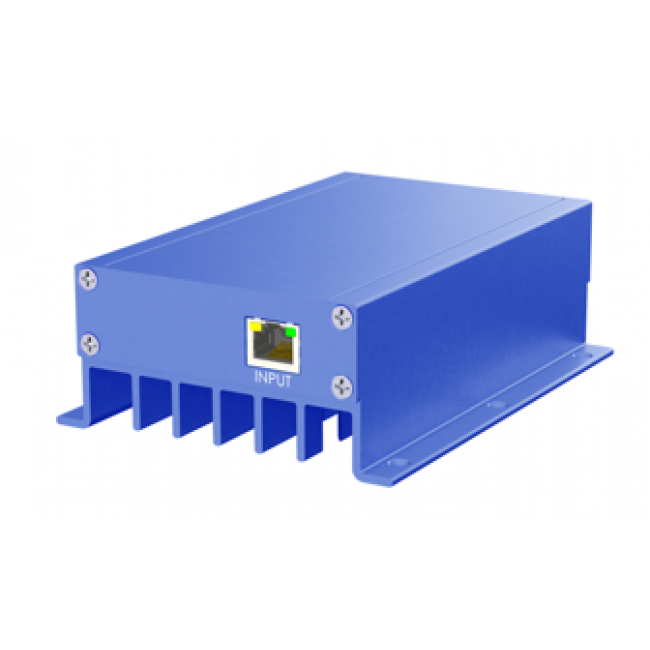 The unique design of the QUATRA system puts it under a different FCC designation than wide band signal booster systems, which allows the QUATRA to support up to 100 dB of gain, or 1,000 times as much amplifying power as a comparable wide-band signal booster system. 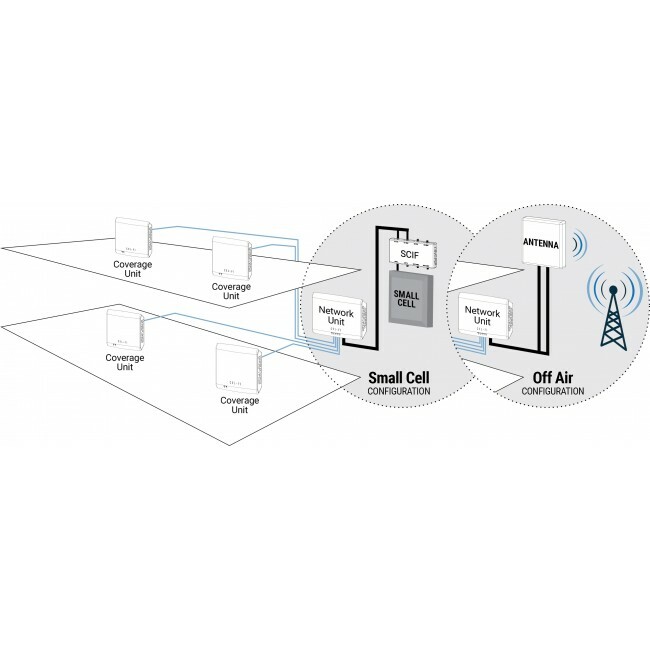 The QUATRA system is configured and remotely monitored using the best-in-class Cel-Fi WAVE platform. WAVE is a hosted portal that initially helps with system commissioning and carrier registration. Once the system is commissioned, the WAVE portal can provide real-time monitoring of system heath and proactive alerts to ensure that a QUATRA system remains online. Many potential issues can be diagnosed remotely to get you back online quickly, often without having to send a technician on site. 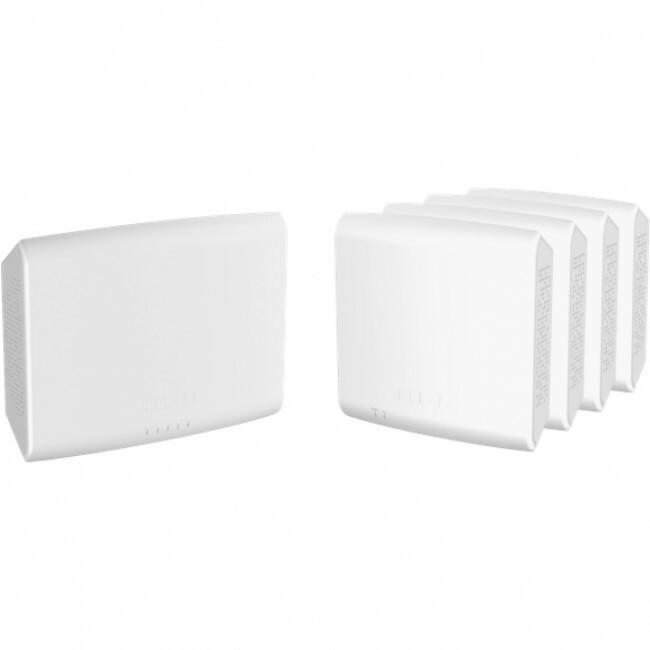 More amplifying power than traditional wide-band signal boosters for maximum coverage even with a weak outside signal. 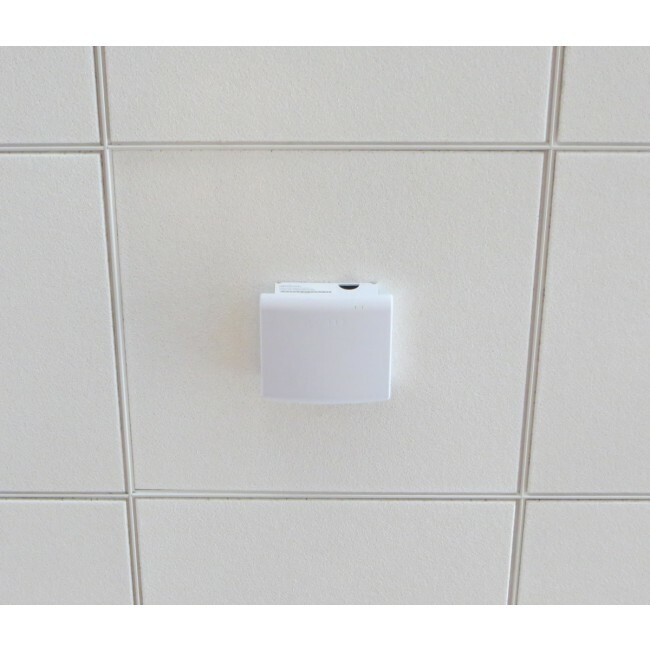 Cel-Fi WAVE Portal makes it easy to remotely monitor the system and troubleshoot any issues as necessary. MIMO in the Quatra 1000 gives you maximum capacity and throughput for fastest LTE data speeds. 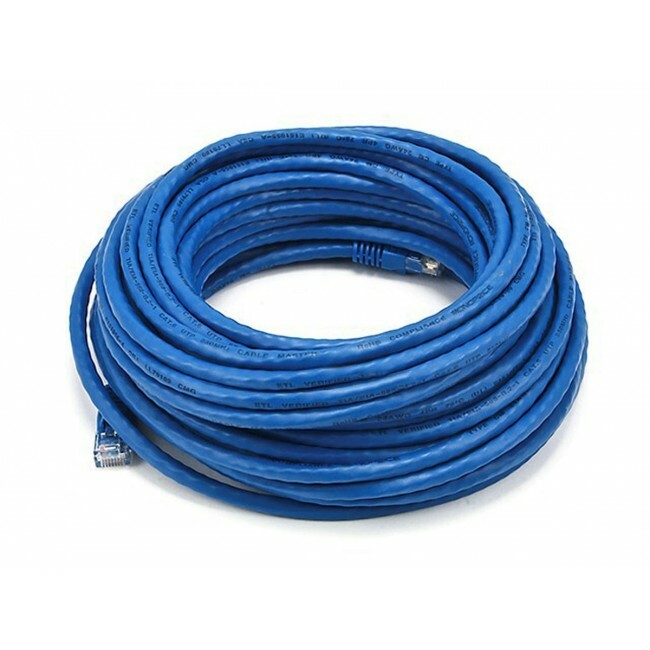 Cat5e or better cable means it’s easier to install and long runs no longer decrease performance. Built for the enterprise with maximum simultaneous user capacity and large coverage areas. The Cel-Fi QUATRA is covered by our 30-day money back guarantee and backed by our friendly, US-based technical support team who is standing by to assist with any questions you may have. The QUATRA is also covered by a 2-year manufacturer warranty, for extra peace of mind. Can use a donor antenna or a small cell signal source. Can only use a donor antenna. 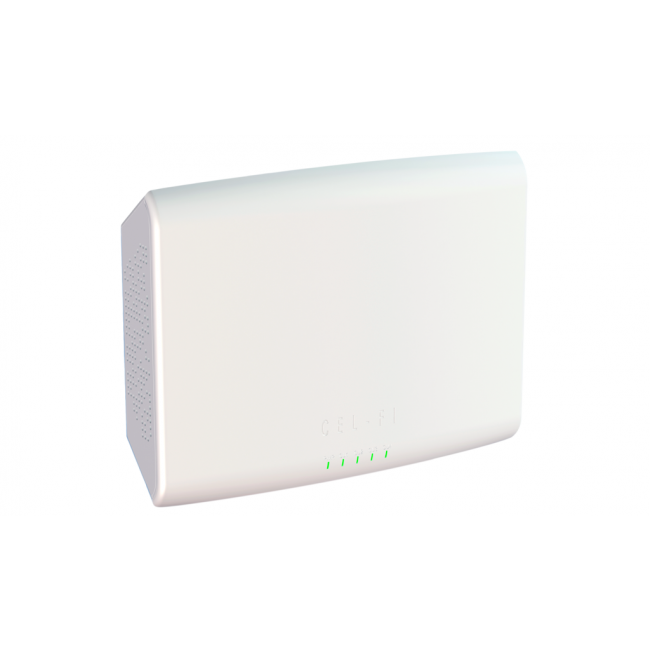 The Cel-Fi QUATRA is the best solution for any large building where you only need to provide coverage for one or two carriers inside. All four major US carriers can be supported by installing multiple QUATRA systems, if needed. The QUATRA system is ideal for clients who require a fast installation time at a reasonable cost. Running Ethernet cable is less expensive and much faster than thick coax cables. In many offices, there may already be pre-run Ethernet cables that can be used. This dramatically decreases the installation time and cost, making the QUATRA system nearly plug-and-play. 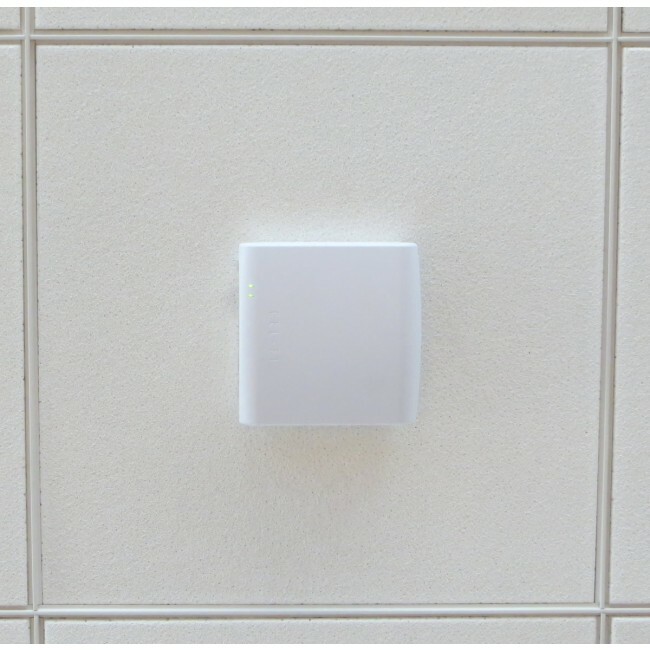 The Cel-Fi QUATRA is also the best solution for situations where the outside donor signal is unusable requiring a small cell signal source. Although the QUATRA has up to 100 dB of gain, you still need a usable outside signal for the QUATRA to run in off-air mode. 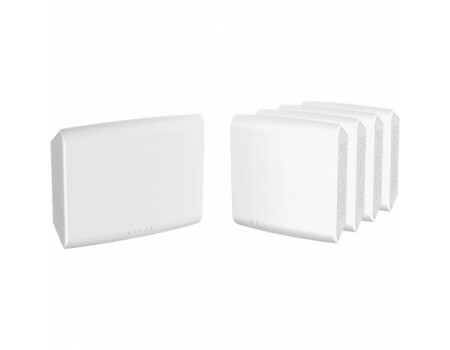 A small cell can generate its own signal which the QUATRA can then amplify and distribute throughout a larger space. The Cel-Fi QUATRA is a modular system. It starts with the Network Unit (NU), which is the core or head-end of the system. Each NU can support up to four Coverage Units (CU). Each CU contains a full-power amplifier and built-in coverage antenna. Traditional Passive DAS and signal booster systems use coaxial cable to pass analog signals. In these systems, the longer the cable, the greater the loss and the worse the system performance. With QUATRA, the CUs connect to the NU using Cat5e or better Ethernet cable sending a digital signal. This allows up to 325 ft between the CU and NU or 650 ft using a QUATRA Range Extender with no impact on performance. This makes the QUATRA an ideal solution for covering very large spaces. Multiple QUATRA systems can be combined to cover spaces up to 500,000 sq ft or larger. To get a boosted signal out of a DAS system, you first need to start with a signal source that can be amplified. Like traditional signal booster systems, the QUATRA can use an outside donor antenna to pull in the existing outside signal from the carrier’s macro network (existing cell towers). But unlike signal boosters, the QUATRA 1000 is unique in that you can also use a Small Cell as a signal source, allowing you to provide coverage in areas where the existing macro network either doesn’t exist (building is in a dead zone) or of poor quality (too many people using overloaded towers) to adequately support a booster system. 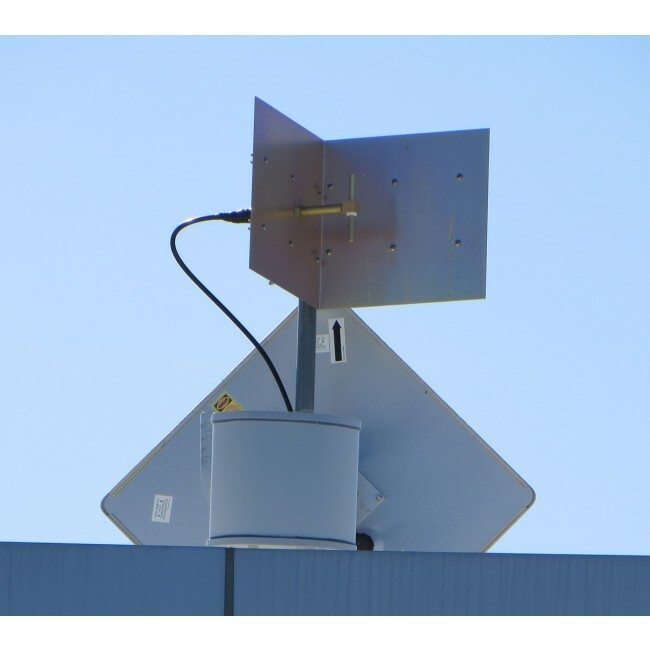 When we pair a QUATRA 1000 with a small cell, we can create a distributed Supercell that can cover very large areas with a high-quality cell signal. 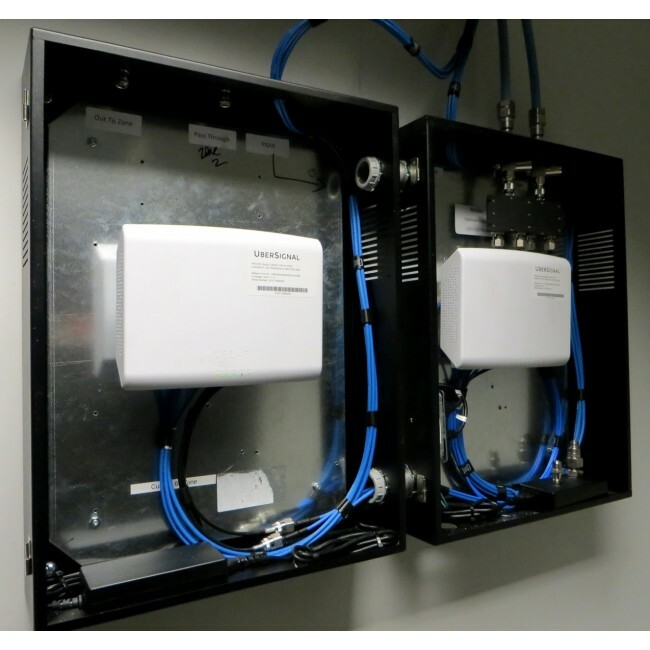 At UberSignal, our RF system engineers can design a DAS solution to cover any space. Our team has over two decades of experience with signal boosters and DAS and we put that experience into every system we design and install. If you’re interested in a DAS solution, including QUATRA, please fill out our Custom System Design Form. With the information you provide, we’ll create a system design and send you an estimate for the cost of the equipment plus installation. The next step is to schedule a site survey, where a member of our team comes out to look at the building, take signal readings, and validate the system design. Following the site survey, we’ll revise the estimate and provide you with a complete proposal. Because the QUATRA supports up to 100 dB of gain, it is not nearly as susceptible to weak outside signals as traditional signal boosters. As long as you have a 2 to 3 bar or better outside signal, the QUATRA will be able to provide the maximum output power for the system giving you full coverage. Instead, the coverage for a QUATRA system depends primarily on things like walls and other obstructions inside. The table below gives some guidelines for how much coverage to expect from a QUATRA system. The table above is provided to help estimate coverage areas. 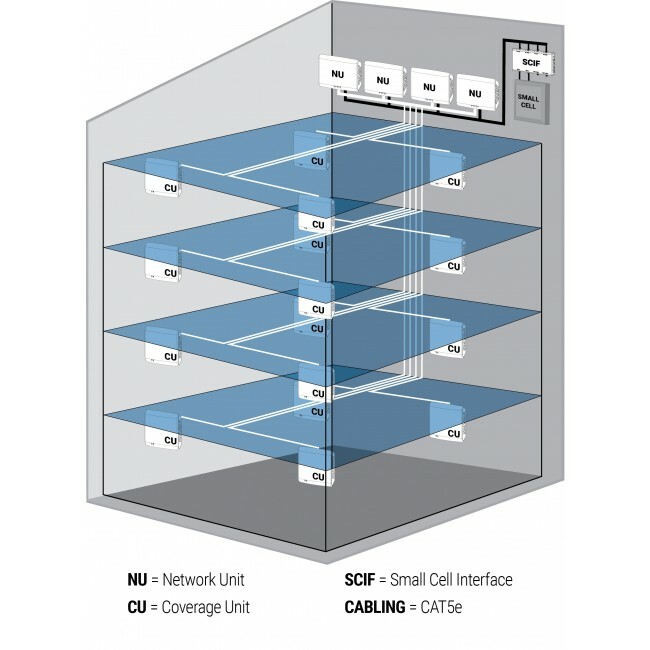 Actual coverage will vary depending on the construction and layout of the building, locations of the Coverage Units (CU), coverage overlap between CUs, isolation between the CU and NU, isolation between the donor antenna and the CUs (in off-air mode), the quality of the signal source, and other factors. 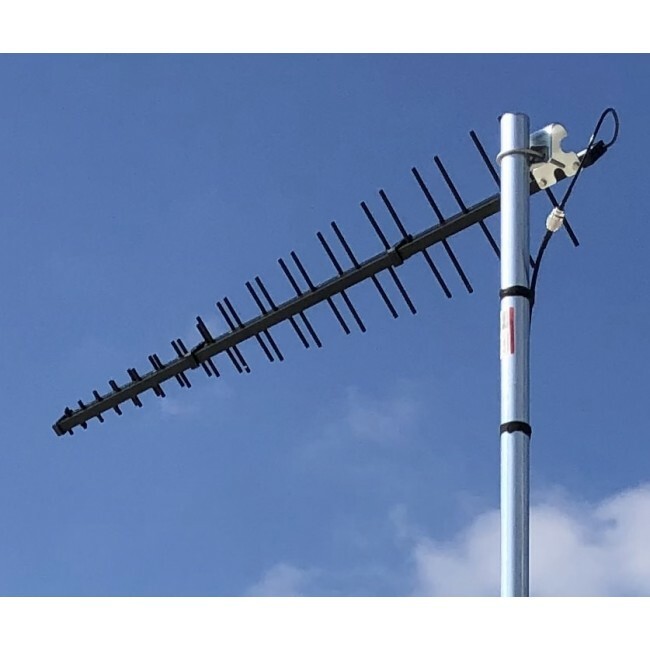 Please contact UberSignal for a custom-designed solution for your space to ensure that you get sufficient coverage in the areas that are important to you. 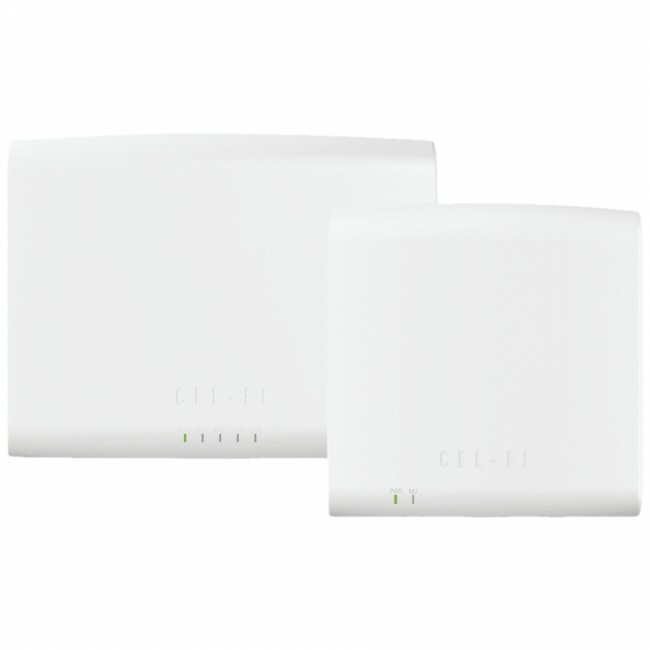 The Cel-Fi QUATRA comes in different versions that can boost one or multiple carriers. All Verizon Cell Phones, Hotspots, and all Devices that can connect to Verizon's 4G LTE network. 4G LTE Only (No support for 2G or 3G). Your phone must support VoLTE calling to make calls through this system. Contact us for more information.